By Ross McGovern | February 27, 2013.
and a bank, which is exactly the position it occupies. Retail jewellery and the loan business usually go hand in hand. However, many people have a negative view of the trade. In reality pawnbrokers provide a service offering secured loans, with a two per cent interest rate, with personal property used as the security for both parties. “People think the main interest of the business would be if people leave the stuff. It’s not because it has to be sold by public auction, and that costs money, time and hassle.” says Pat. In recent times Dublin saw Cash Converters shops set up all over the city, only to go the way of the Dodo. The business model was a very different one from places like Kearns. In essence one would sell them an item and only have one month to buy it back, with a hefty “interest rate” of 30 per cent. 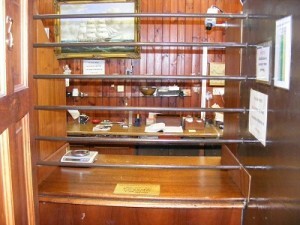 In Dublin there are only three pawnbrokers left: Kearns, Brerton’s on Capel Street and Carthy on Marlboro Street. In times past there would have been as many as 30. Pat’s family has had the business for over 100 years and it was a pawn premises before that. His great grand uncle bought it in the early 1900s, Pat took it over in 1978, but there has been a pawn business on the site for close to 150 years.